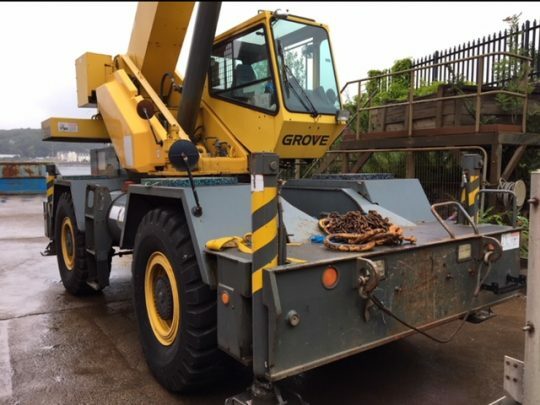 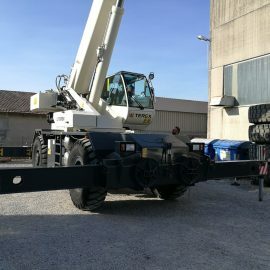 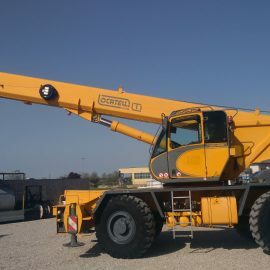 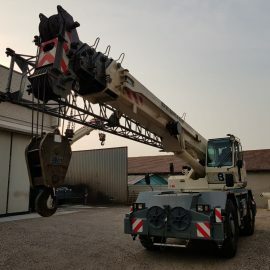 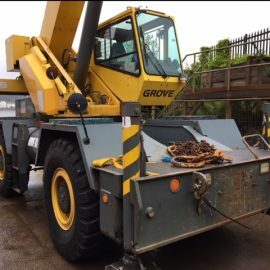 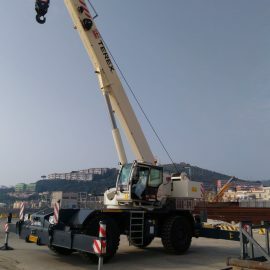 Share the post "GROVE RT530E – 2006"
Due to its compact and dynamic structure this cranes can work in any type of construction even on rough terrain. 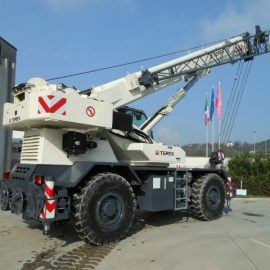 They are used in the construction of infrastructure, civil and industrial construction, maintenance and handling of heavy machinery for quarries and mines, port services etc.. All-terrain mobile cranes are equipped with 2 axles, 4 wheel drive, steering and independent of a cabin rotates 360 ° continuous. 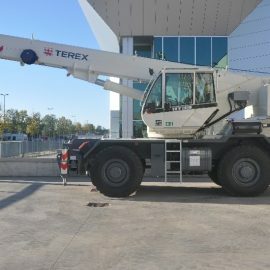 This type of crane allows to have a good lifting capacity on tires.We can enclose all this in two words: Terex-Bendini. 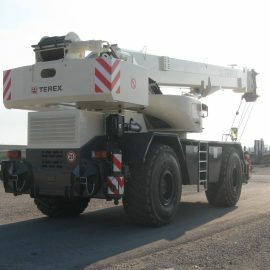 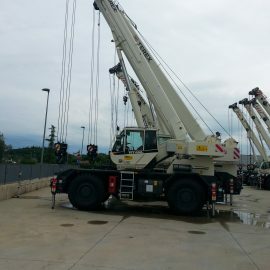 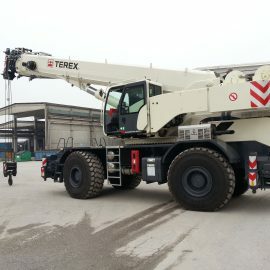 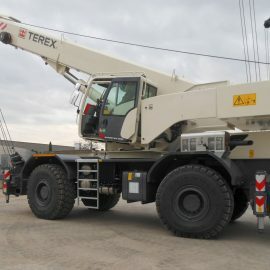 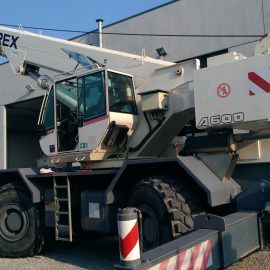 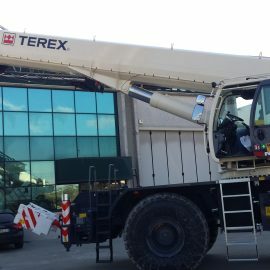 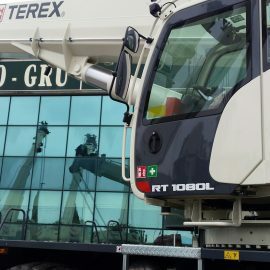 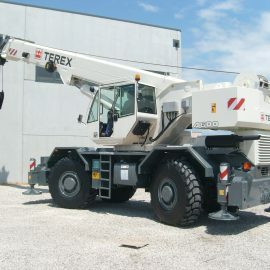 The rough terrain cranes Terex-Bendini have a rated capacity from 32 ton up to the 100 ton.